One of my favourite style blogs is Where Did U Get That, featuring the opinions, finds, and fashion adventures of Karen, London native in New York. I adore how Karen puts together an outfit with seemingly unusual or unworkable pieces, and makes them fabulous. Most recently she featured this outfit wearing a gorgeous sequined cardigan. 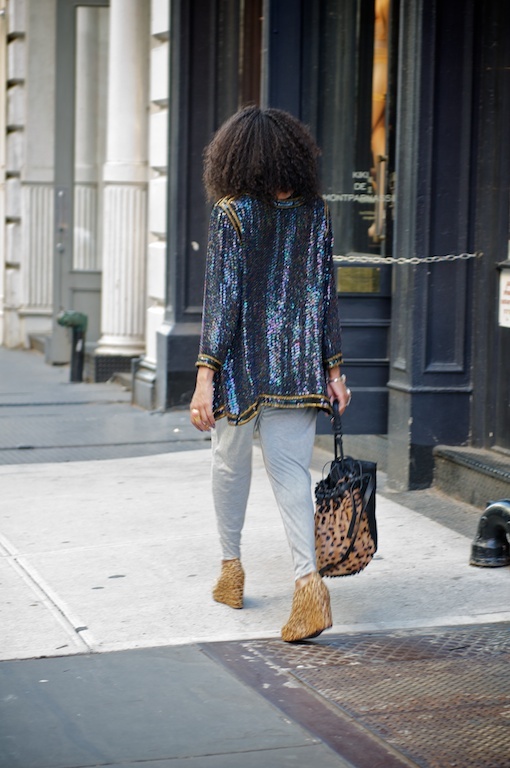 Sequins in the day may be a bold choice, but Karen makes them look effortless and casually chic. 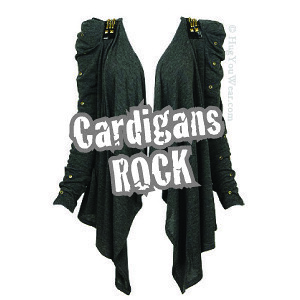 Karen’s sequined cardigan is vintage/thrifted– but keep a look out on your shopping trips. You may have passed one up before, thinking it couldn’t be this versatile. Thanks Karen, for the consistent inspiration! 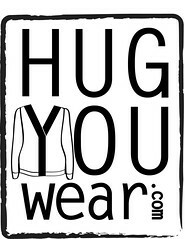 All photos are courtesy of Where Did U Get That blog, with permission. This was actually one of my favorite outfits from her. The Wang bag plus the Jeffrey Campbell cheetah wedges really made this look for me. Loved it.